Do you need a combination between modern and improved medieval textures in Minecraft PE Bedrock? The Modern pack was created for the fans of the beautiful interior of the houses, because just installing these textures, many things of your house will turn into chairs, sofas and more realistic looking items of everyday life. Obsolete items and items such as chests and crafting tables also got an updated look, and using wool you can design and embody a beautiful modern mansion. 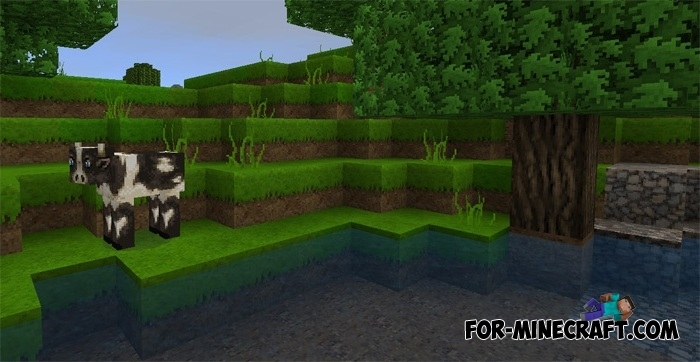 In addition to these textures, there is the Modern HD pack. These are the most high-quality textures in high resolution, which replace many items with furniture but without the possibility of use. How to install the Modern pack? Open the Texture Packs section and click "Add"